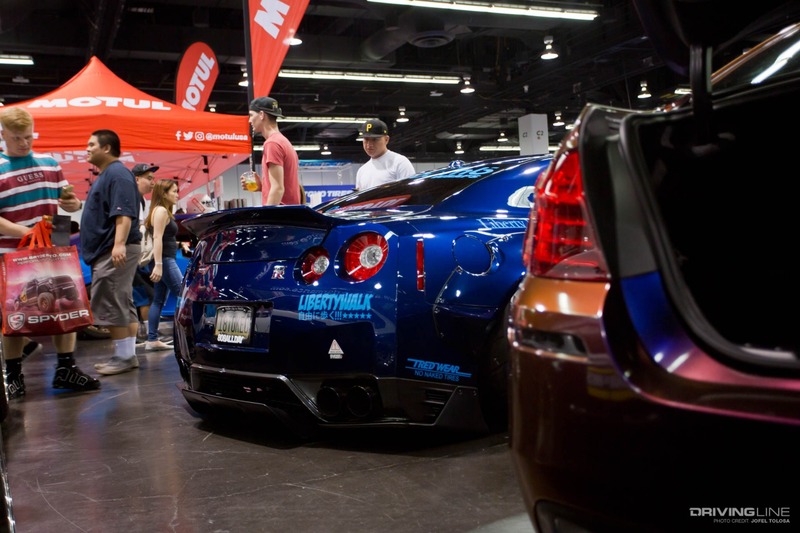 Southern Californians may be spoiled with near perfect weather, miles of coastline and a heavy concentration of In-N-Outs, but gearheads will all agree that it also has an unbelievably strong car culture. 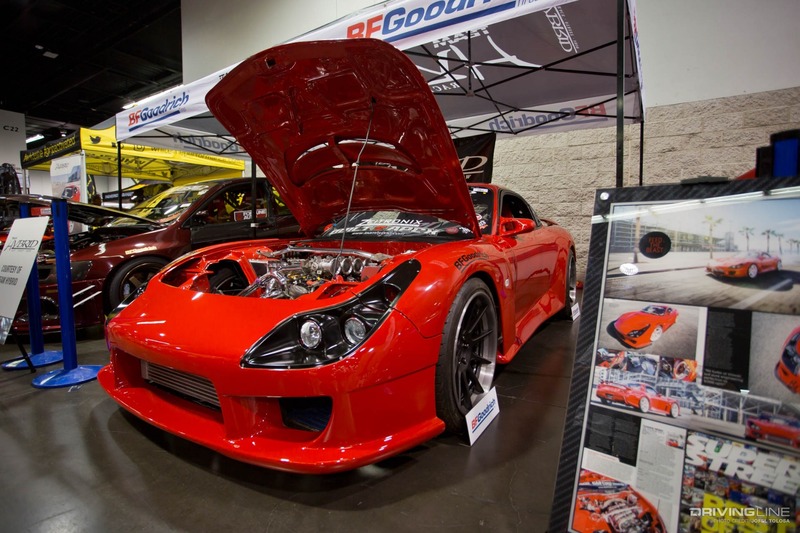 Summer is the peak of car show season and Spocom is undeniably one of the most popular events. 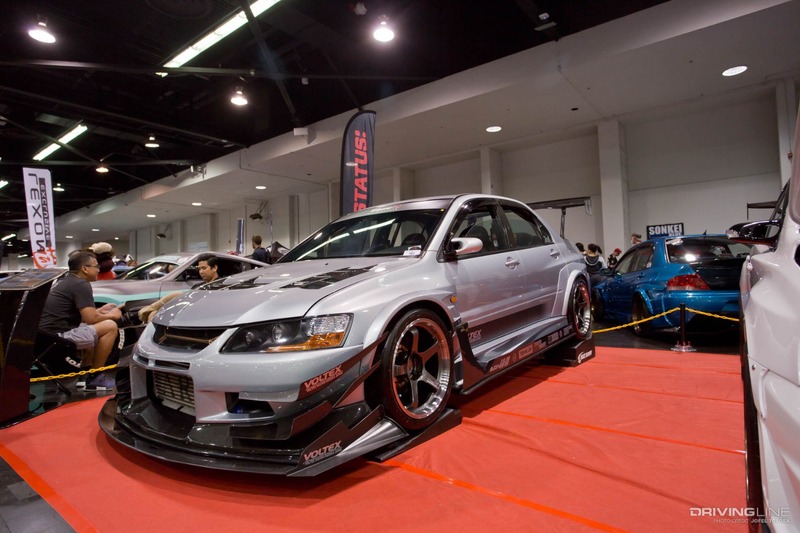 The show started in 2007 by founder Eugene Inose in attempt to stimulate what seemed to be a decaying sport compact car scene. 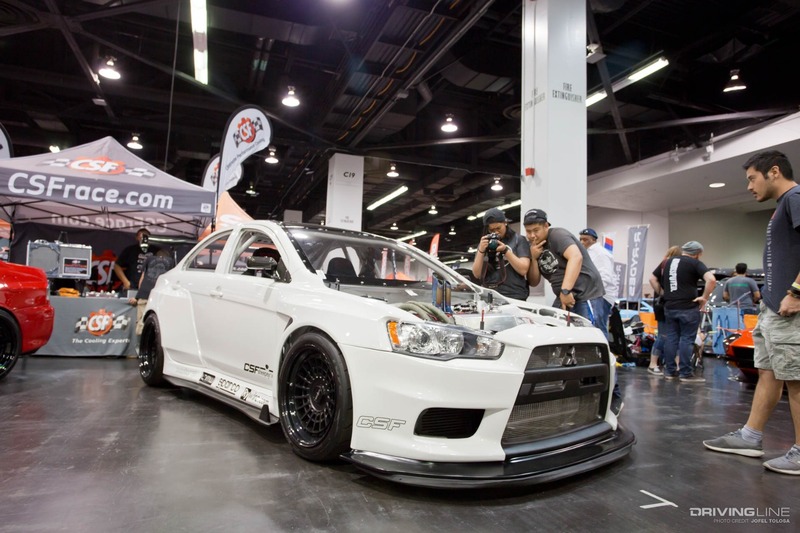 Now in it’s 12th year, the first stop in the ‘18 tour was at the Anaheim Convention Center and with so many top-notch builds under one roof came heavy foot traffic. 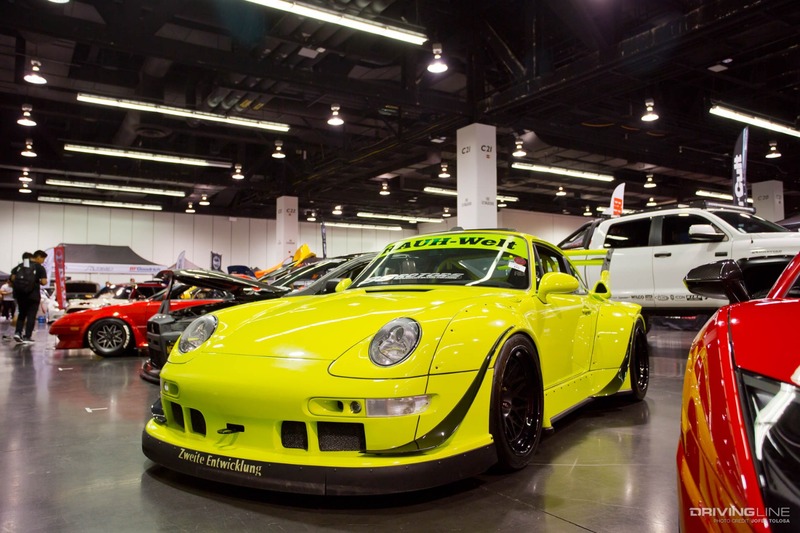 The moment you enter the convention center you can’t help but be drawn to Auto Fashion USA’s booth. We’re talking SEMA quality presentation with lights, a DJ and their Lexus GS300 and Honda S2000 both rocking Mode Parfume Ga Mu aero. 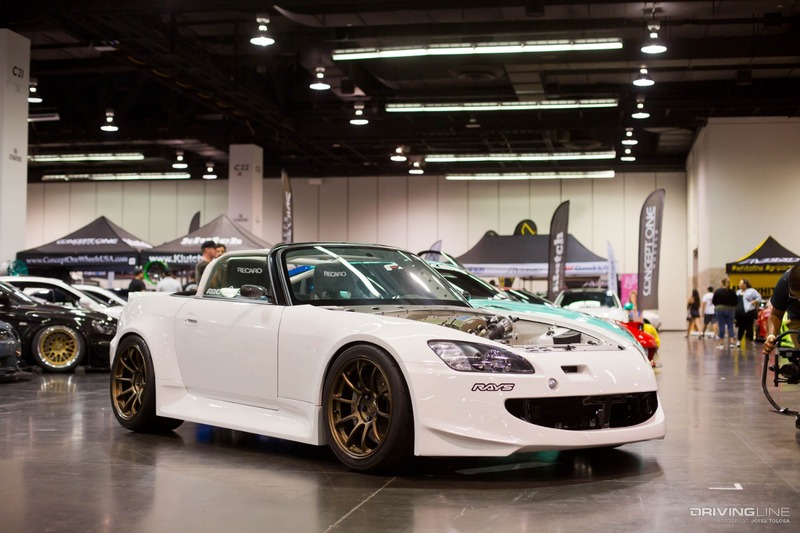 Honda aficionados stopped and drooled over the Mugen S2000 that Ryan Basseri of RyWire had built. 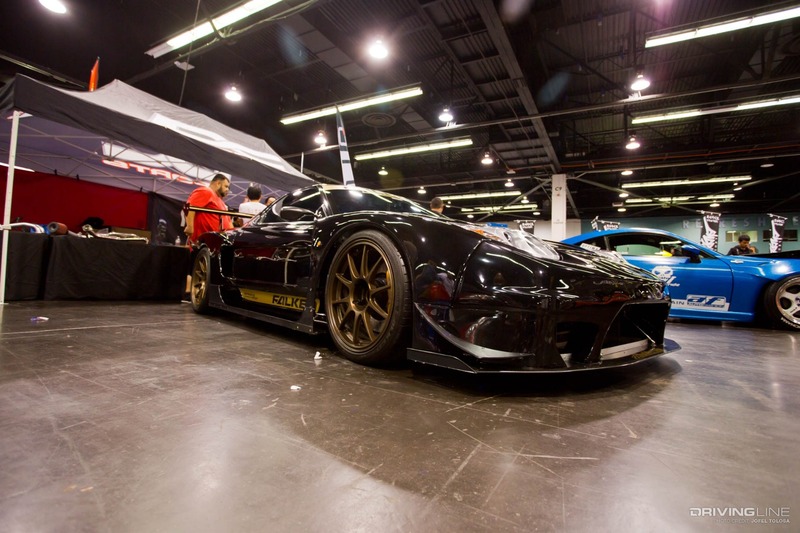 If you’re into the essential '90s JDM, the Auto Concept Elite crew brought its well-known Top Secret Supra and the Kazama Mazda RX-7. 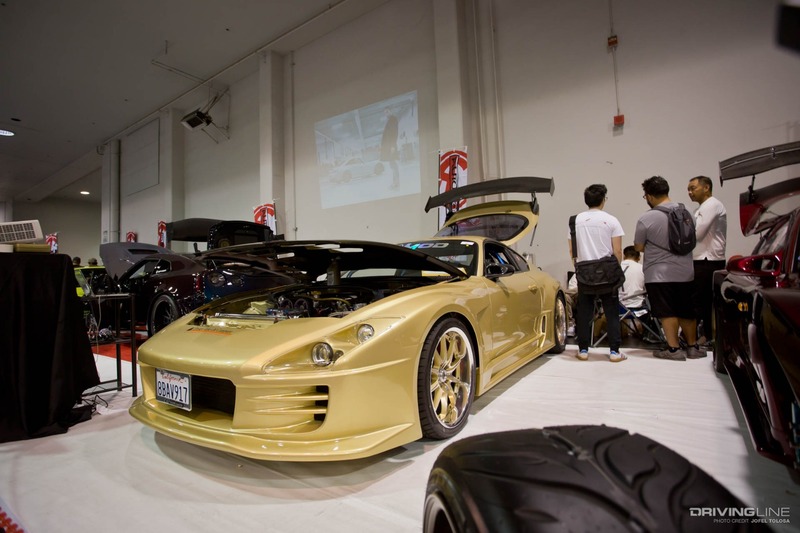 Going deeper into the convention center, you’ll eventually run into the Bay Area based group Endless Projects with some of the best VIP cars California has to offer. 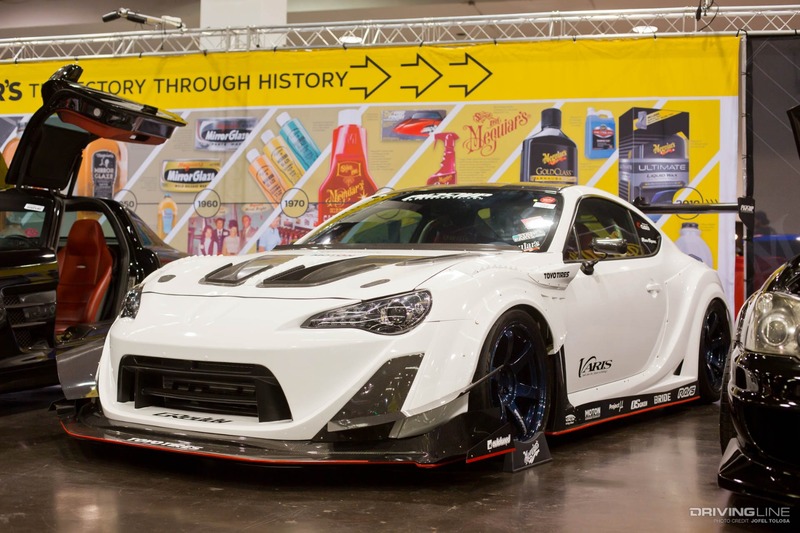 At the Meguiars booth were a few heavy hitters such as Jonsibal’s RWB Porsche and Brian Duong’s Varis Scion FR-S. If Japanese nostalgic cars tickle your fancy, the ‘73 Datsun 240Z sitting in the Naked 100 E-Liquid booth is the car you want. 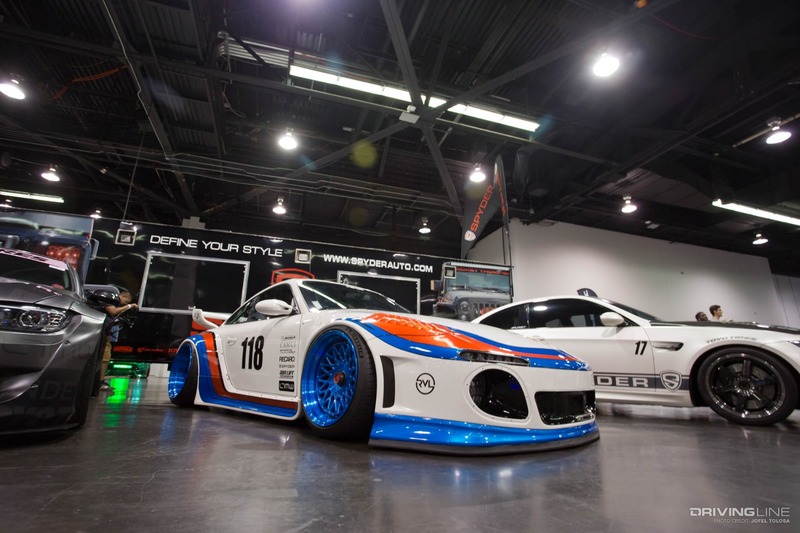 The exterior has a trendy Pandem aero kit with a BRE (Brock Racing Enterprise) inspired livery installed by Auto Tuned. 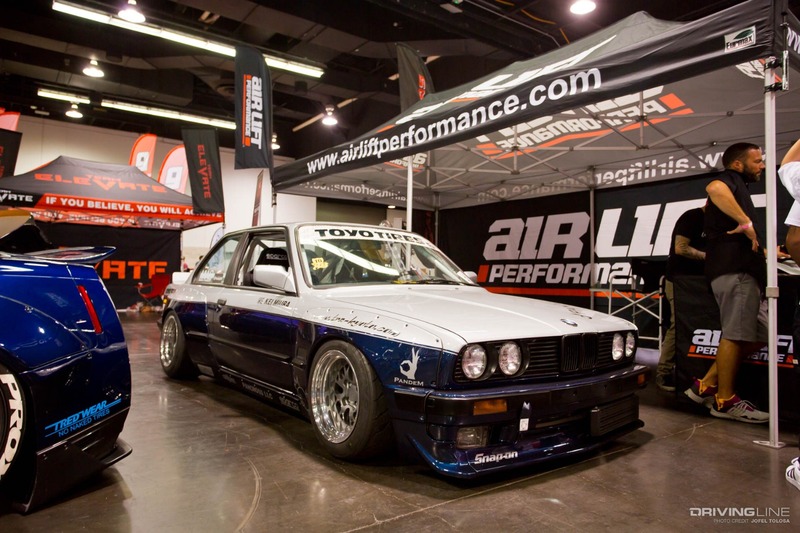 A set of Rotiform LHR wheels combined with Nitto NT01s match the modern take on an old school chassis. It gets even better when you pop the hood and instead of an L series motor is a more potent RB26 with an offensively oversized Turbonetics turbo. The swap was done by JER Development, who also retrofitted electric steering. 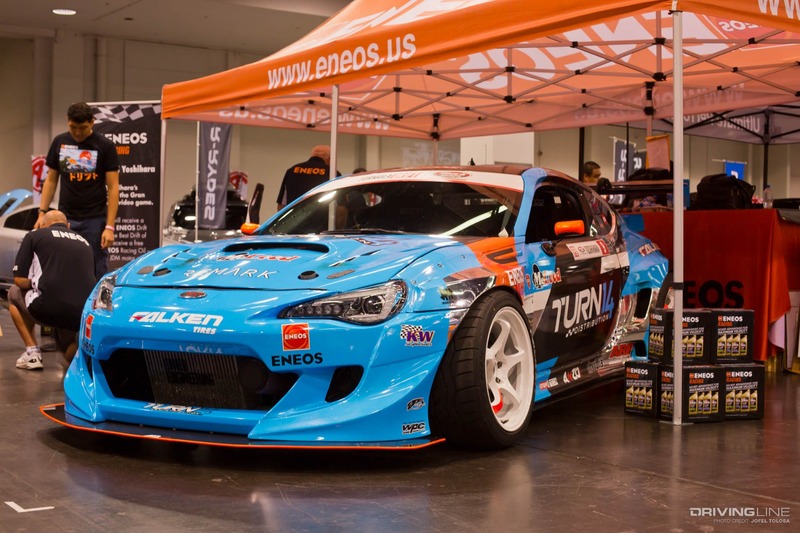 The car is street-tuned at a healthy 480hp, and a kind Naked 100 representative says that the car will eventually hit the track. 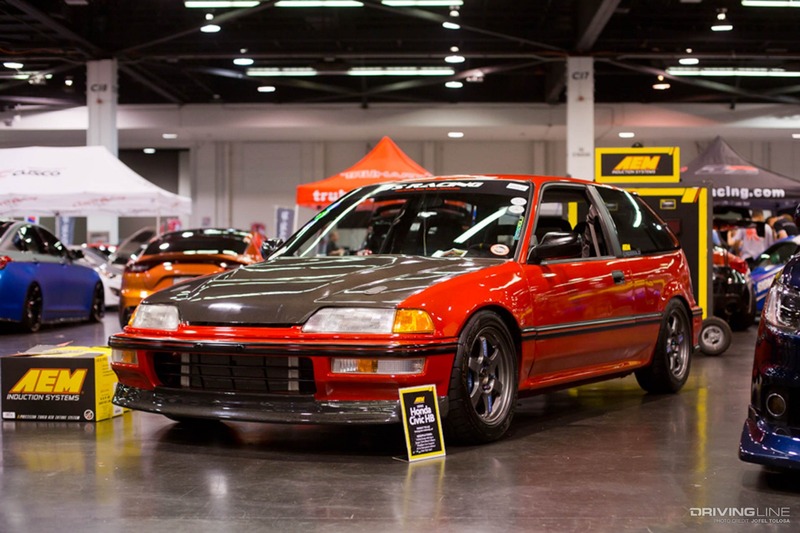 The sport compact car scene is unpredictable, but if you’re looking for the hottest trends or even a trip down memory lane, Spocom isn’t a bad place to start. It’s a huge part of sport compact car history and will be for years to come. 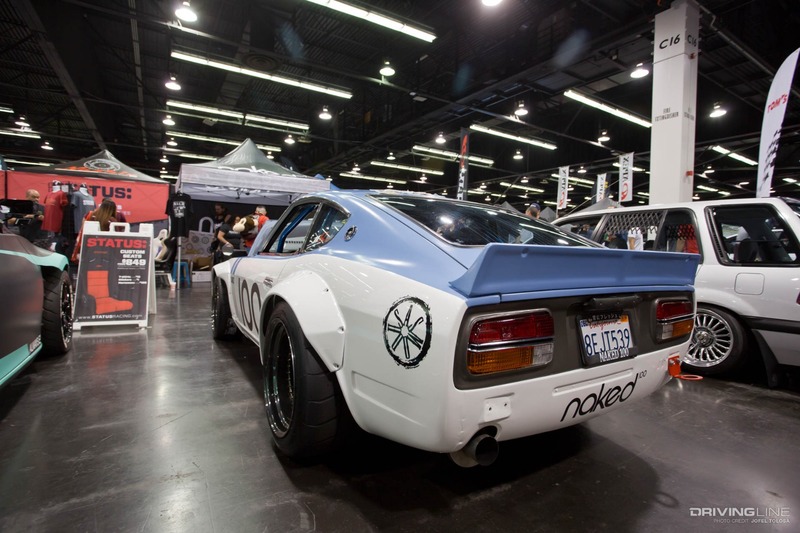 In fact, the demand for Spocom is so strong, they added an unplanned San Diego stop later this year. It doesn’t get more California than that. 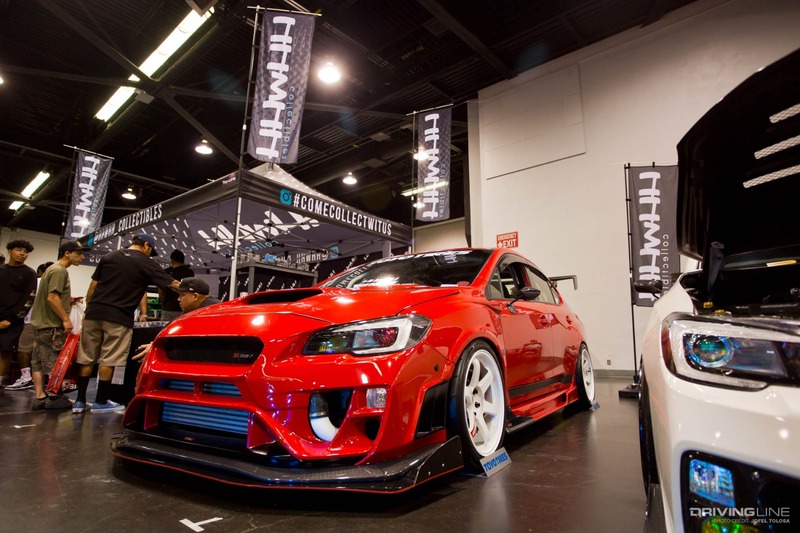 To see more from this awesome show, flip through the gallery above! 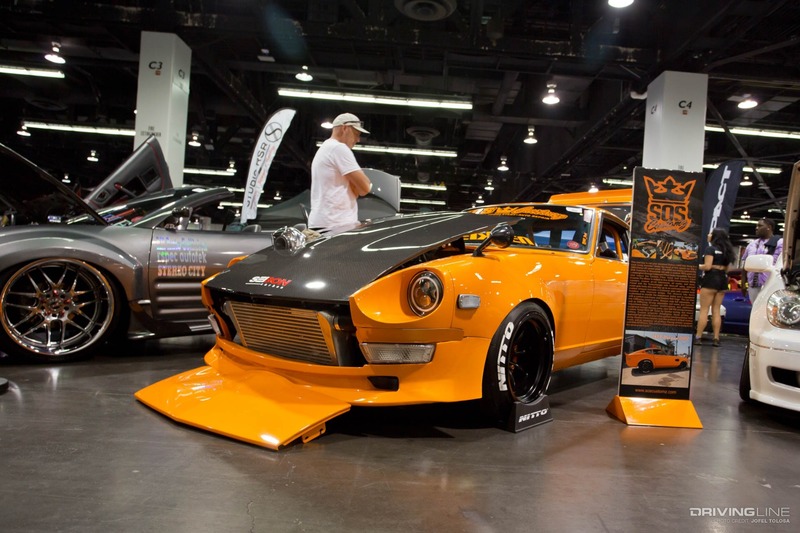 Want to see another 240Z, but this time with an LS-swap? We found one that burns brightly.